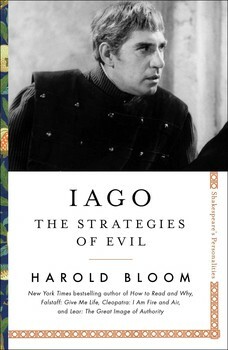 Iago: The Strategies of Evil is the fourth in a sequence of five brief volumes, “Shakespeare’s Personalities.” The first was Falstaff: Give Me Life and the others are Cleopatra: I Am Fire and Air, October 2017; Lear: The Great Image of Authority, April 2018; and Macbeth: A Dagger of the Mind, November 2018. Harold Bloom starts fresh with five of Shakespeare’s personalities endless to meditation, extending an open hand to readers who desire to find themselves in Shakespeare and Shakespeare in themselves. The reader and playgoer will gain an intensified awareness of the reality of great selves that differ from us only in vividness and sheer amplitude of being.